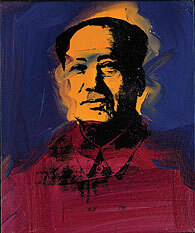 The BMAC Premiers "Andy Warhol: Intimate & Unseen"
Even Warhol himself would never have predicted that a private collection of his works would have its world premiere in the small town of Brattleboro, Vermont (pop. 13,000). But, as the "Pope of Pop" predicted, in the future everyone will be famous for 15 minutes. And so it will be for the town of Brattleboro. From September 18 through February 6, the Brattleboro Museum & Art Center will host an exclusive premiere exhibit, "Andy Warhol: Intimate & Unseen." "Andy Warhol is without question the most famous and influential American artist ever," says the exhibit's curator, Mara Williams. "This collection reveals a highly personal side of Warhol and provides a fascinating glimpse into his private life," she says. 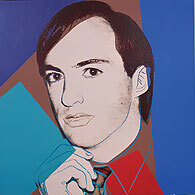 The collection belonged to Warhol's companion and favorite obsession in the 1980s, Jon Gould, who died of AIDS in 1986. 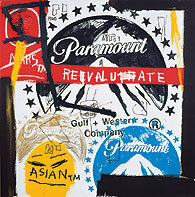 During their relationship, the Paramount Pictures vice president amassed a collection of more than 60 paintings and prints as well as hundreds of black-and-white photographs taken by Warhol. The photographs Warhol gave to Gould are the most revealing aspect of the collection in terms of Warhol's personal life, says Williams. Among them are snapshots from vacations they spent together--posed in parkas on the slopes and in pearls on the beach--and shots taken among friends at Studio 54 and other places. (Some photos are creased because Andy folded them in order to send them to Jon in business-size envelopes.) Also on display will be photos of the celebrities (including Mick Jagger, Jane Fonda, and Nancy Reagan), which shed additional light on Warhol's world. According to Brattleboro Museum & Art Center director Konstantin von Krusenstiern, the museum gained access to the collection through a former board member who was a friend of Gould and has stayed in touch with Jon's surviving twin brother, Jay. "Jay's willingness to share his brother's collection with us is truly a gift--both to Brattleboro and to the entire art world," says von Krusenstiern. 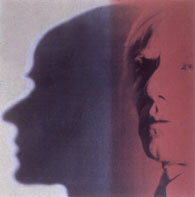 Exhibit-related events include a Warhol film series, lectures about the artist and his work, and readings by authors of past and soon-to-be-published books on Warhol. Exhibit tickets: $8 adults; $7 seniors; $6 students; museum members and children age 6 and under are free. The Museum is open daily except Tuesday from 11 to 5. Saturday, September 11: Exhibit Premiere (6:30-8:30 p.m.) and Studio 54 Disco Party (8:30-11:30 p.m.); Tickets: $54 for both; $15 for Disco Party only.